College can be a transitional time for many students. During the summer months, many students may require storage units as they make the switch between dorm rooms or housing situations. By helping your student choose a high quality storage unit , you can ensure that his or her belongings are safe and secure during summer vacation. At JD Mini Storage, our secure storage facility in Capitola is a great choice for your student storage unit needs. To help your college student remain organized during the summer, here is a quick look at some summer storage tips for students. The first step of finding a storage unit is to find a quality facility. When looking for a student storage unit , it is important to seek out a facility that offers great pricing and plenty of security. You may also want to inquire about any student discounts or specials. By doing your research, you can find a safe storage facility that meets all of your student’s needs. The size of the self-storage unit is another factor to consider when finding summer storage. Your student’s storage facility should offer plenty of space to fit all of his or her belongings. If your student is hanging on to any pieces of furniture or other oversized items, it may be a good idea to rent a storage unit that offers a spacious floorplan and high ceilings. Once you have secured the right storage unit for your student’s needs, it important to help your son or daughter organize all of his or her belonging. Be sure to clearly label every box with a detailed list of all of the contents. In addition, you may want to consider color coding each box with bright tape. By getting organized, you will ensure that your student has an easy time unpacking in the fall. Whether you are a first year freshman or a returning student, it is important to remain organized when you pack your belongings. Before you pack, you should research which items you will need to bring. By starting with the basics, you will have plenty of items when you reach your dorm room. When you are packing for college, you may want to consider renting a student storage unit at JD Mini Storage. We provide our clients with high quality storage units, and our self-storage facility located in Capitola can help you get organized for your move to college. To learn more about how you can pack your belongings for a student storage, watch this video from Howcast. When you are planning on transitioning some of your belongings into a storage unit, it is important to get organized before the day of your big move. 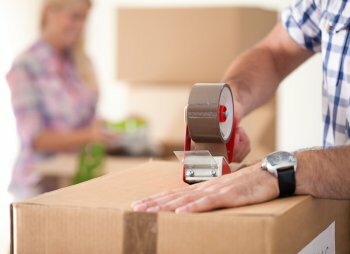 By planning ahead and packing carefully, you will help ensure that your move at the self-storage facility is streamlined and stress-free. If you are looking for professional storage services located in Capitola , look no further than JD Mini Storage. Our self-storage units will provide you with plenty of space for your storage facility needs. If you are getting ready to move your belongings into a storage unit, here are some tips to help you get organized for your upcoming move. When you are getting organized for a move into a storage facility, it is important to locate plenty of boxes. You may want to collect boxes of many shapes and sizes. By gathering as many boxes as you can find, you will ensure that you have plenty of storage space for all of your large and small items. After you are finished packing, you can easily recycle any boxes that you did not use. During the packing process, you should be sure to label all of your boxes carefully. On the exterior of each box, you may want to write out a detailed description of the interior contents. By keeping items from each room together, you will be able to find what you need when you visit your unit. Prior to the day of your move, it is a great idea to make a moving checklist. This checklist could include a description of all of the items and boxes that you will be moving to the self-storage facility. By writing down all of your needs before you move, you will have greater peace of mind when it comes time to start moving your boxes and belongings.